Asociacion Emprender de Productos Agricolas y Pecuarios Los Mangos (Asemprogrope) is an organization that started in 2004, made up of 32 producer members in the villages of Nazareno and Los Mangos in the municipality of Planadas in Tolima. The association works closely with Lohas Beans to strengthen their Organization at different levels and is improving the quality of coffee as they integrate cupping sessions and training programs for the farmers. 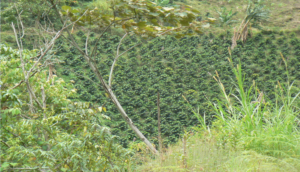 The Tolima region of Colombia mainly offers quality coffees from small farmers in very small micro-lots via cooperatives. Sweet and well balanced with bright acidity and hints of honey, vanilla, chocolate and peach.